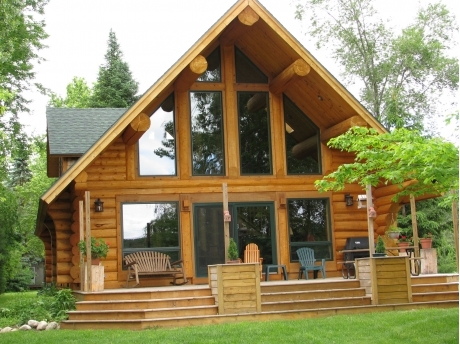 The Log Cabin is a beautiful lake-front log home built in 2006. 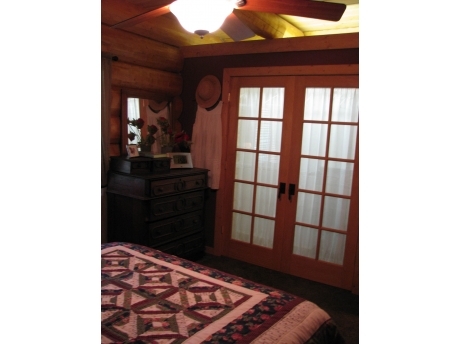 The front window wall provides a wonderful view of the lake, just 50 feet from the cabin. 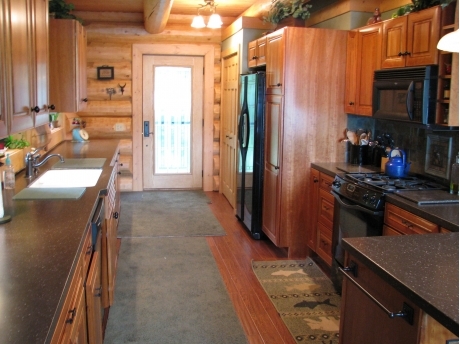 It has 3 bedrooms and 2 full bathrooms and comfortably sleeps 8 people. The main floor has a living/dining great room off the kitchen, a master bedroom with a king size bed, and a full bath with tub/shower. 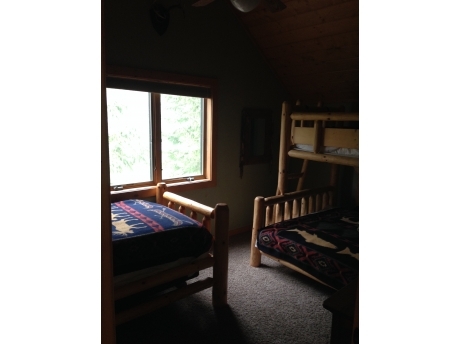 The second floor has an open loft sitting area, a bedroom with a queen size bed and a 3rd bedroom we call 'the bunk room', with a full-size bed and 2 twin beds. The fully equipped kitchen has a stove, oven, dishwasher, microwave, coffee maker, washer & dryer and everything you need to cook and serve. A large deck expands the living space into the outdoors and has a gas grill, picnic table and outdoor furniture. The lakefront has a nice swimming area with a sandy bottom which is ideal for small children. A dock and row boat is provided as well. The lake and surrounding area is also great for fishing, skiing, kayaking, hiking and biking. 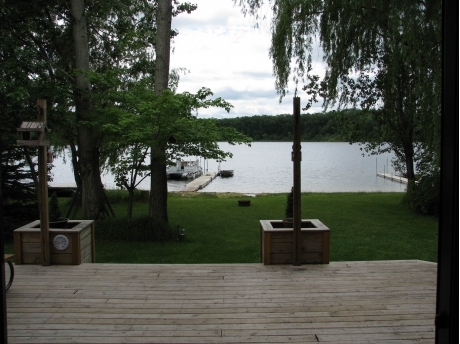 A National Forest swimming area and boat launch are also located on the lake. Enjoy daily sightings of eagles, loons, blue herons, hummingbirds and more. 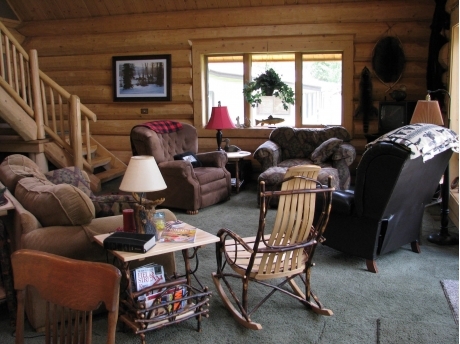 The Nichols Lake Log Cabin is located 2 miles west of Bitely, MI on Nichols Lake. It is a 153 acre spring-fed lake with reported depths of 50'. 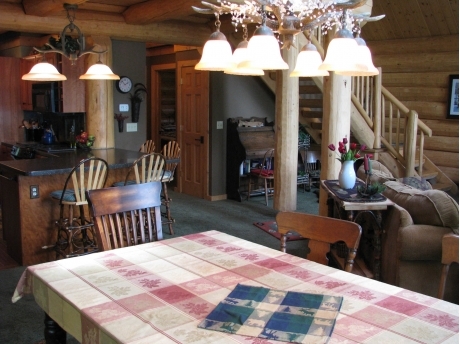 It has only 15 lake front cottages; the rest is National Forest offering less speed-boat traffic. 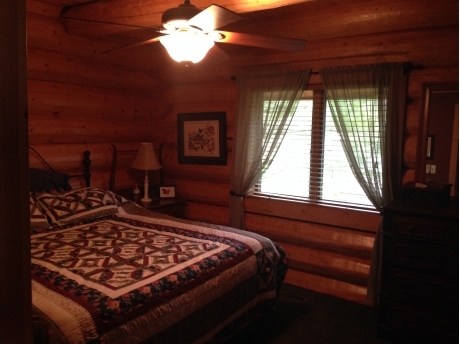 There are 2 additional weekly-rental cottages available adjacent to the Nichols Lake Log Cabin providing the perfect place for several families to vacation together. One is next door on the lakefront (The Nichols Lake Grey Cottage) and the other is one lot behind, only a 300' walk to the lake (The Nichols Lake Lakeview Cottage). All three come with their own dock and row boat. 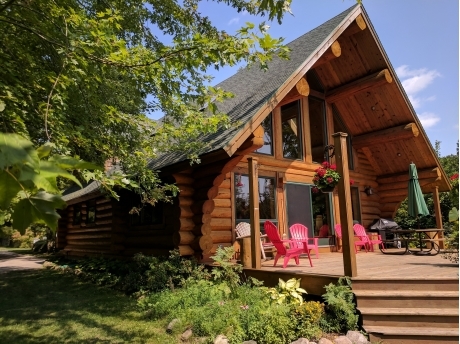 For years, many families and friends have made a tradition of vacationing together in all 3 of our cottages, building wonderful lifetime memories! 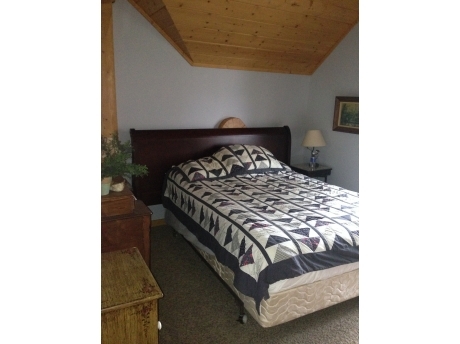 Weekly Rentals: Check-In Saturday 1:00 PM; Check-Out Saturday 10:00 AM. 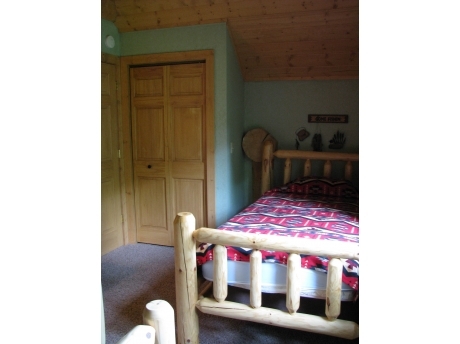 Prices are based on an occupancy of 8 people. Additional fees will be charged for extra people ($25.00/person) and $10.00 per vehicle over 4 vehicles.